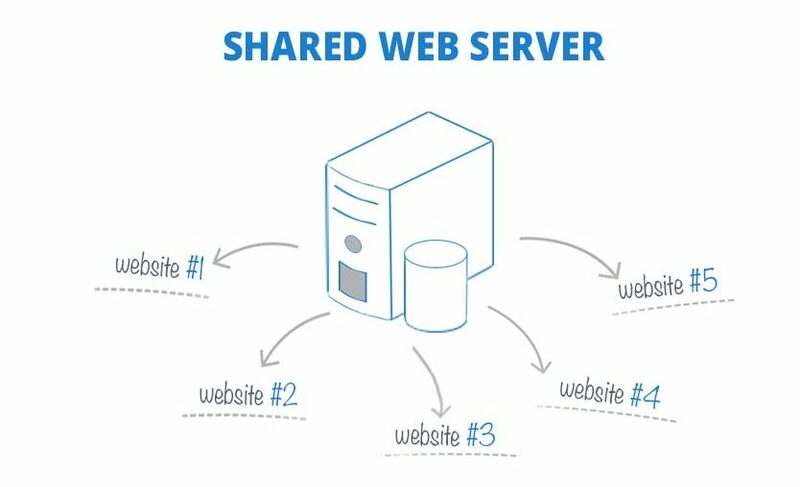 Strictly speaking, shared hosting is when one web server hosts multiple websites. One web hosting company can have one, several or many web servers and host a large numbers of sites. The concept of shared hosting is very similar to traveling economy class (vs. business, or even your own private plane). You’ve got one vehicle to share, the same amenities and services, and there are lots of other passengers. It is cheap, truth to be told, but delays happen, the kids are frequently noisy, the lines are tiresome and it’s cramped because some of the neighbours are blissfully unaware of how much space they take up. It’s the same with shared hosting. You’ve got the idea. First of all, it’s the type of web hosting that is suitable for small businesses and individual website owners, and it is the best option for the sites without intensive traffic. Being relatively inexpensive, it is great for new, low budget projects that have the potential to grow in the near future but do not currently require powerful resources. First of all, shared hosting is far less expensive than the other shared options. Why? For one simple reason: the company places multiple users on one web server (with each user being able to have several websites there) and the maintenance costs are distributed evenly amongst everyone. This enables it to offer lower prices to customers. It is no big deal to share resources for most of the time. Providers monitor their servers’ performance and make sure they are not overloaded. However, it can cause a problem if one of the websites gets too much traffic (or its general performance is downright poor) as all the others will feel the effect of this. You have absolutely no control over your server. There is nothing you can do about it if it is slow or goes down, apart from loudly banging your fists on the door of the hosting support’s offices. So, with shared hosting, it is always about choosing your provider wisely. Shared: all the users share every available resources with their neighbors on the server. VPS (Virtual Private Server): this is still a “shared” environment, but the resources are divided in advance and each neighbor has their own predefined limit. Dedicated: here you have complete access to all the resources available on this given server (because you have no neighbors). Why Don’t All Providers Offer It? The thing is that most actually do, but they don’t necessarily call it directly “shared”. You can find the same thing under the name of “website hosting” or “Linux hosting”. Companies without such offers are more narrowly oriented (with products for large business, corporate offers and similar enterprises) and they cost a lot more. Where Are All the Good Shared Hostings? Popular large companies are very often not the best players. There are many less famous web hostings with quite powerful, well-maintained servers and quite affordable package prices. You just need to do a bit of research here and pick a really good one, rather than just pick the first one that you find after Googling “shared hosting”. And we can definitely help you with this.